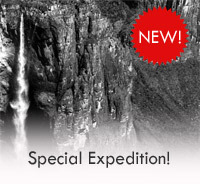 By any name - Angel Falls, Churún-Vená, Kerepacupai-meru, Salto Angel - the world’s tallest waterfall, 3,212 feet (979 m). Perhaps plants, animals and geological features are never discovered. Instead, the knowledge of their existence gains recognition by a larger, more diverse audience. The existence of the waterfall known to the world as Angel Falls may or may have not been known by the indigenous Kamarakotos Pemón tribe living in the Kamarata Valley next to Auyántepui. They were not known to have explored Auyántepui because they believed evil spirits inhabited it and the waterfall is in a location remote from the closest village. Their traditional name for the waterfall is Churún-Vená. Tall waterfalls were reported in the journals of several early non-indigenous explorers, but recent scholarship has in large measure debunked the suggestions that the waterfall was first seen by other explorers including Sir Walter Raleigh, Ernesto Sanchez La Cruz and Captain Felix Cardona. It came down to Jimmie Angel being the first “outsider” to see the waterfall and accurately place it on maps and report it to the world. One thing is certain about the “discovery” of Angel Falls; its existence became known to the world because of Jimmie Angel’s explorations. 1933: Jimmie Angel first saw Angel Falls on 18 November 1933 while flying solo as an aviator-guide for the Santa Ana Mining Company of Tulsa, Oklahoma. Co-pilot and mechanic Jose Cardona from Mexico and mining official D. H. Curry were with Angel on the expedition to the Gran Sabana of southeastern Venezuela, but they did not see the waterfall or believe his story about a “mile high waterfall.” Because of ceaseless heavy rains Cardona and Curry became discouraged and left the area shortly after Angel first saw the waterfall. 1934-1935: Jimmie Angel met Durand A. Hall and L. R. Dennison in New York City at the offices of the Case Pomeroy mining company in 1934. 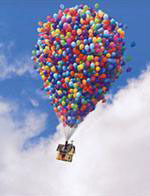 He agreed to be their pilot and guide for the Case Pomeroy’s exploratory expedition to the Gran Sabana of Venezuela. On 24 March 1935 Angel flew Hall and Dennison into Auyántepui’s Churun Canyon to see Angel Falls. Angel had been telling people for many months about his “mile high waterfall,” but his story had not been believed because the official maps for the region did not even show a tepui as high as Auyántepui. Later in the same year on a flight with Angel, mining geologist Shorty Martin took photographs of the waterfall and verified Angel’s story. L. R. Dennison’s book Devil Mountain was published in 1942 and retold his adventurous months with Jimmie Angel in 1935. 1937: Jimmie Angel and Angel Falls became better known to the world as the result of his 9 October 1937 landing of El Rio Caroni on Auyántepui in search of the lost “river of gold.” Jimmie and Marie’s landing companions were Venezuelans Gustavo “Cabuya” Heny and Heny’s gardener and jungle companion Miguel Angel Delgado. At first, Angel’s landing appeared to be perfect, but the wheels broke through the sod and sank into the mud bringing the airplane to an abrupt halt with a broken fuel line and the airplane’s nose buried in the mud. Two days later, when it became clear that there was no gold to be found and that El Rio Caroni was hopelessly mired in her muddy landing spot, the expedition members started their long walk from the plateau. As planned should the aerial part of the expedition for gold encounter trouble, Heny led the Angels with the assistance of Delgado down from the Auyántepui plateau to their camp in Kamarata Valley at the base of Auyántepui. This adventure captured the imagination of the people of Venezuela because for the first time Auyántepui was considered in terms other than scientific. Jimmie Angel had taken his wife with him and survived an extraordinary journey; it was emotional and romantic. 1937-1938: William H. Phelps, Sr., a wealthy American businessman and ornithologist living in Caracas, had been hearing for many months fantastic stories from the bush about Jimmie Angel’s new “Lost World” of Auyántepui and a mile high waterfall he had discovered. He wrote to his fellow ornithologist and friend Frank Chapman, Curator of the Department of Ornithology at the American Museum of Natural History and offered his sponsorship of an expedition to Auyántepui and the participation of himself and his son William “Billy” H. Phelps, Jr. who was also an ornithologist. Chapman selected twenty-six year old ornithologist E. Thomas Gilliard and called upon George H. H. Tate, who had led the Roraima and Duida expeditions and was now assistant curator of South American mammals, to accept the mantle of leadership for the expedition. 1938-1939: The Gran Sabana Expedition was commissioned by Venezuelan President José Eleazar López Contreras on 17 December 1938 to investigate the presence and abundance of minerals; to study the soil conditions for agriculture and animal farming; to study the geography and topographic conditions for industrial purposes; to study the climate and sanitary conditions for migratory and colonization purposes; and to study possible penetration routes. "Exploración de la Gran Sabana," Revista de Fomento, No. 19, December 1939. “Among the explorers of Kamarata, the North American aviator James C. Angel merits special mention for conducting three expeditions by airplane of this area from 1933 to 1937. One of Angel’s principal objectives was the exploration and layout of Auyán-tepui’s plateau where he proposed the construction of a landing strip and in 1936 he organized the first climb to the summit in collaboration with Captain Cardona and Gustavo Heny. At the beginning of 1937, Cardona and Heny succeeded in climbing Auyán-tepui and a little time later Angel landed on the summit of the plateau on marshy terrain where the airplane inundated itself in such a manner that it was necessary to abandon it. 1940-1941: Upon returning to New York, E. Thomas Gilliard wrote his first popular magazine article titled “Unchallenged Champion” which appeared in the December 1940 issue of Natural History, The Magazine of the American Museum of Natural History. In it Gilliard proclaimed, “The fact that a great Lost World really existed, falls or no falls, was sufficient to put the zoological world on its toes. Scientists in all branches who were acquainted with the strange flora and fauna of the two other Lost Worlds (Roraima and Duida) joined in acclaiming Mr. James Angel’s discoveries.” In July 1941, Gilliard published an article about Angel Falls and Jimmie Angel titled “The Eighth Wonder of the World,” in the Saturday Evening Post. 1949: American photojournalist and World War II correspondent Ruth Robertson led the first successful overland expedition to Angel Falls in 1949. At 3,212 feet it was verified the tallest waterfall in the world. Four expeditions before her had tried to reach the waterfall and had failed. Her photographs and account of the expedition “Jungle Journey to the World’s Highest Waterfall,” were published in National Geographic, November 1949. Her book, titled Churun Meru – The Tallest Angel was published in 1975. There are several names for the waterfall and several versions regarding how the waterfall became known to the world as Angel Falls. "The elders state that their name for Angel Falls is Churún-Vená. Vená means waterfall. The water, after it collects in the pool at the base of the waterfall and then cascades over the rocks is called Churún-Merú. Merú means rapids or cascade, in other words, water flowing over rocks. The Churún part of the name comes from the fact that it is the largest waterfall flowing into the Churún Canyon which is a very important place in their culture. The word Churún is a sound in their language with no particular meaning." Isabel Barton to Karen Angel, personal communications, 26 July 2005 and 22 December 2009. “Salto Angel” (Angel Falls) was the name officially adopted by the Venezuelan government in 1939. Jorge M. González, Ph.D., Department of Entomology, Texas A & M University & Exploration Historian, and Charles Brewer Carías, Venezuelan Naturalist and Explorer, personal communication to Karen Angel, 24 April 2010. Figure 1. 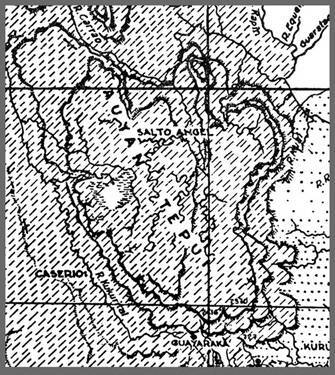 This is a section of the map presented by the Exploring Commission of the Gran Sabana which was appointed by President Eleazar López Contreras. The map contains the name Salto Angel for the first time ever and appeared in December, 1939. Since this was part of an official report, the name Salto Angel was officially adopted by the Venezuelan Government. (Section of the map provided by the Venezuelan Naturalist and Explorer Charles Brewer Carías). Freeman’s photograph of Angel Falls is shown above. Enrique Lucca Escobar, Executor Gustavo Heny Photograph Collection, to Karen Angel Caracas, Venezuela, 29 February 1996. Mary LeCroy, Research Associate American Museum of Natural History (former Assistant to Dr. E. Thomas Gilliard) to Karen Angel, New York City, 9 August 2002. Archive of the American Museum of Natural History News Release, 27 January 1965 Reporting on the death of Dr. E. Thomas Gilliard. Gilliard of the American Museum of Natural History. Auyántepui, Auyántepuy, Auyán-tepui or Auyán-Tepui: Unless quoting from another source or writing in an historical context, the JAHP attempts to consistently use Auyántepui.